As you know almost 1 billion people lack access to fresh water. I want to aid these people, and with your help, we can make a difference. I have done work with charities before, such as holding charity concerts for the 2009 earthquake in Japan, and now I want to focus on giving the less fortunate clean water. 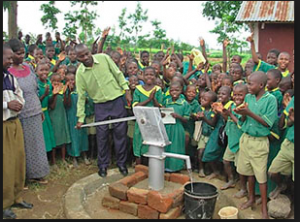 Just $23 can give one person clean water. So if you want to lend a hand to those who are less fortunate, donate to help end this water crisis and ultimately, to give clean water to everyone on Earth that needs it. 06/04/14 Won Geun Lee $23.00 Matthew supports his friend, Ken!